A power morcellator is an electric surgical device used to cut up large chunks of tissue into smaller pieces. The device is used during procedures such as a laparoscopic hysterectomy or a myomectomy. The device resembles a drill with sharp blades at the end. Surgeons insert the long, tube-like portion into small incisions in the abdomen, perform morcellation of the uterus or fibroid by chopping up the tissue and then vacuum it out of the body. Since the late 1990s, laparoscopic power morcellators have grown rapidly in popularity for hysterectomies, with about 55,000-75,000 procedures performed in the United States every year. About 500,000 American women have a hysterectomy (surgery to remove the uterus) every year. At least 40% of hysterectomies are used to treat uterine fibroids, which are non-cancerous growths on the uterus. However, the FDA estimates that 1 in 350 women undergoing a hysterectomy or fibroid surgery actually has undiagnosed uterine cancer, and 1 in 500 has highly-aggressive leiomyosarcoma. This risk-estimate is backed up by a study published in JAMA, based on data from 233,000 women who had hysterectomies between 2006 and 2012. Morcellators often leave behind tiny pieces of tissue, so if the pieces contain cancerous cells, morcellators can spread aggressive cancer throughout a woman’s abdomen and significantly increase her risk of death. 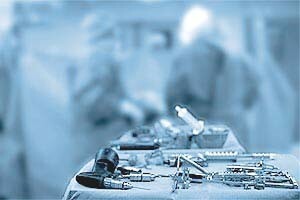 Surgeons can reduce the risk of spreading cancer by using a protective surgical bag, and only morcellating in the bag. However, the bags are cumbersome, flimsy, and difficult to use, which is why many surgeons do not use them. Since April 2014, the U.S. Food and Drug Administration (FDA) has issued two public safety alerts about the potential for power morcellators to spread and upstage uterine cancers. The first safety alert discouraged doctors from using the devices due to this risk. At the time, the FDA estimated that 1 in 350 women with uterine fibroids actually has uterine sarcoma, while 1 in 498 has leiomyosarcoma. These numbers are significantly higher than what was previously understood. The FDA now requires morcellator manufacturers to include a black box warning on their product labels. According to the agency, morcellation is contraindicated in women: (i) who are peri- or post-menopausal and (ii) whose tissue is known or suspected to contain malignancy. Scovern Law is currently accepting morcellator-induced injury cases in all 50 states. If you or somebody you know was diagnosed with cancer after a hysterectomy, you should contact us at 1.888.725.1890 for a free consultation.